When it was announced in 2004 that Doctor Who would return to television, there was a reason that both the public and bookies alike expected the likes of Hugh Grant to play the Doctor. The character, and the show, had a bit of a reputation for weirdness and eccentricity that defined it as the hokey TV show of yesteryear. Christopher Eccleston's casting, especially so shortly after his widely-acclaimed role in the modern-day biblical drama The Second Coming, was the first of many attempts by the BBC and the production team to skewer Doctor Who's pantomime reputation. Everything about the Ninth Doctor was designed to break away from the past, despite the new era of the show being a continuation of what came before. The simple, stark look of his Jacket and Jeans matched the hard edge and down-to-earth realism that Eccleston was known for — far from the ultra-British dandy that many expected of the show. This Doctor didn't speak in BBC English, he spoke a man from northern England (other planets with a north are, of course, available). He was the embodiment of the extraordinary in a very ordinary and real body, and it was that seriousness — both in the character and the production — that sold audiences on the show once more. You could believe a blue box that flew through time and space, shop-window-dummy aliens and Nazi pepperpots, because Christopher Eccleston's conviction made you. The Ninth Doctor was unique, and unlike any other Doctor we had seen at that point, and arguably even now. 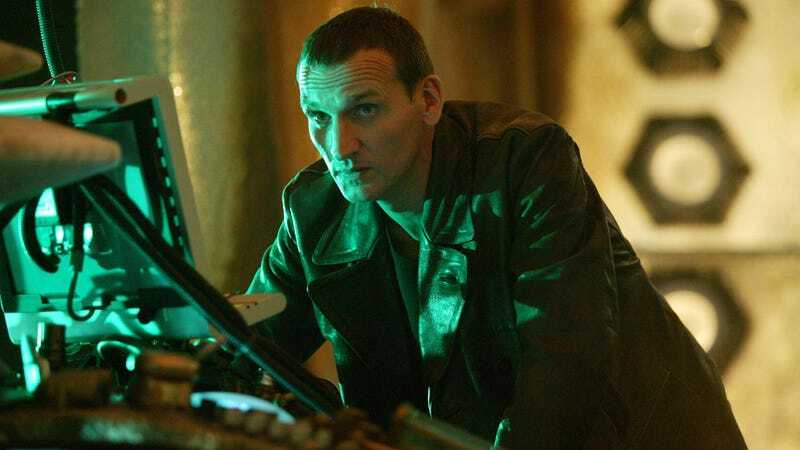 David Tennant, Matt Smith and Peter Capaldi's Doctors are very clearly influenced by previous incarnations, but Christopher Eccleston had no true counterpart in the past: he was a rare opportunity to do something completely different in the role, and it was a gamble that paid off. The Ninth Doctor's era still stands today as a wholly unique period for Doctor Who, making it all the more precious in the show's long history. Although the series has re-embraced its eccentricity (some would argue a little too much), at the time it was vital for the series to shed it. If the Ninth Doctor had not been the man he was, from looks to personality, there stands a very good chance that there would be no Doctor Who to talk about today. An inherent alien-ness has always been part of The Doctor's make up. He's an outcast from his own people as well as us. He's a loner who bridged two different worlds and yet was never wholly part of one. Initially, this was very much the same for the Ninth Doctor. His distance, sparked by his survivor's guilt from the Time War, was largely conveyed not through an alien eccentricity but a standoffishness (his repeated early warnings to Rose that he doesn't "do domestic") to the world around him. The Doctor's hardened attitude in this incarnation is what makes him stand out in a room, more than any inherent weirdness as it had in the Doctor's past. He isn't just an alien being because he had two hearts, but because of the distance he puts between himself and the people around him. And yet the humanity of the Doctor had rarely been so closely examined as it was with the Ninth Doctor. Throwing this alien being into the banality of the Powell Estate, with a companion that wasn't an alien or royalty or a scientist but a shop assistant, makes the Doctor stand out more than he had ever had before. But instead of that outcast element defining him, the environment the Ninth Doctor was placed into by Rose Tyler and her family changes him. The Doctor's relationship with his companion softens, in a way that it rarely had with companions past. Of course, they were all friends, but Rose became something more than that to The Ninth Doctor (and went further beyond that, into romance with the Tenth Doctor). Rose was transformative catalyst that, for all his alien distance and his veneer of emotional reservation, made the Ninth Doctor one of the most human incarnations of the Time Lord. Christopher Eccleston balanced that humanity with the alien distance of The Doctor like no other actor in the role really has. But perhaps the Ninth Doctor's greatest strength was something that, to him, was his greatest weakness — the grief of being the supposed sole-survivor of his people. The loss of the Time Lords was an excellent move by the writers: gone were the high-and-mighty men in robes who would drone on and hold the Doctor back, replaced by a sense of loss that echoed throughout the Ninth Doctor's run. The Doctor's grief was integral to the Ninth Doctor, perhaps more than any other incarnation before or since — and with it came a fire that few could compare with. The Ninth Doctor has no time for fools, and when that fire is stoked, it blazes into so many excellent performances from Eccleston. His incandescent rage at existence of a lone Dalek in Dalek, and the fury which he summons to defend the Earth and his allies from the Slitheen or the Daleks once more. The Ninth Doctor is a damaged soul, and it shows most openly when he's angry. Previous Doctors could wither a foe with a glare or a clever retort, but none could get someone shaking in their boots like the Ninth Doctor. Doctors after him could wail and shout, but rarely with the presence Eccleston could imbue in his finest moments. But the rage of the Ninth Doctor didn't just fuel anger, it fueled passions. The Ninth Doctor could embody the joy for life or sense of wanderlust that defined the character in his past, driven by the same things that could make him so righteously angry. The fact that his catchphrase is fantastic rather than any other word speaks to that, because Eccleston's Doctor can find the joy in any situation. Introducing Rose to the strange alien environs of Platform One, his appreciation for how and Stuart and Sarah got together in Father's Day, his resounding cry of "Everybody Lives!" at the climax of The Doctor Dances. People will remember Nine as the dark, tormented Doctor, but he also displays a passion that rivals the finest moments of any other Doctor we've had. Passion is a word so rarely attached to Christopher Eccleston's Doctor, but there is perhaps none more apt. Passion defines his very core: his anger and his grief over the Time War, his joy to show a companion the wider universe, and the softening of his edge as he warmed to Rose. The Ninth Doctor had a fire in his belly like no other incarnation there has been on Doctor Who. For all I've said, in the end though, he himself put it the best: He really was fantastic.